Rampant groundwater extraction and erratic supply from treatment plants and has deepened potable water crisis in several parts of Gurgaon, residents claim. People living in DLF phase one, two, three, four and five, south city one and two, Nirvana city, sector 44, 56, 57, 58, Palam Vihar, sector 14, 15, 16, 17, 18 and many other areas have been hit by water shortage. This is mainly due to work on master pipeline by Gurgaon Metropolitan Development Authority (GMDA) city's sector 16 area, an official said. This line supplies water to localities in old and new Gurgaon. "We have installed an upgraded pipeline in sector 16 keeping in view future needs. We had alerted residents about it well ahead of the commencement of work. 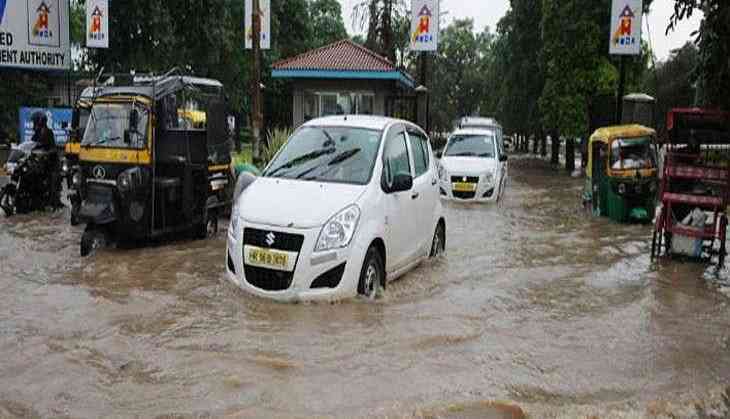 before this exercise," executive engineer of GMDA Sandeep Dahiya said. Besides, the pipelines connected to the Basai and Chandu Budhera treatment plants, having a capacity of 60 and 22 MGD respectively, are also under maintenance. "The complaints pertaining to water supply in DLF city is true. These localities are far away from Basai water treatment plant and water boosters are not properly working in the region," a Haryana Urban Development Authority official said.